QUICK COURSE DESCRIPTION: In an age where indie publication is common and where previous publications can open commercial publishing doors, the ability generate concise short fiction ideas, and to plan and complete quality short stories at specific target lenths is essential. You can learn this skill. explore contests, anthologies, and other tools for reaching new readers. Writing good short fiction is as essential skill in any writer's toolbox. Diagrams and charts as needed. Demos and short stories (by the author) for dissection. Private Class Forum for lesson work, help, and practice. Permanent in-version access, and all in-version upgrades free. I'm writing the class at a planned speed of one to two weeks per new lesson. Below is my working outline for what the class includes. The first four lessons, demo stories, worksheets and other handouts, and the forum and classroom are all in place. You can start this class immediately with Lesson One. Important! This is the SPLINTERS VERSION of the class. It's my first version of any class, built directly to the questions asked to me by prospective students before I put together the outline. From the questions I receive, I build a class outline that covers all the material requested, and put this into PDF-ONLY format at the fastest pace I can manage -- generally at the pace of one lesson per week, though from time to time lessons prove to require significantly more work than I anticipate, or require more than one lesson to cover entirely. Once I've finished the class and have caught up on cleaning up other pending Splinters Versions, I'll clean up this one. That make take a while. BUT, no matter when you bought, students who buy at the early prices get all in-version up grades, INCLUDING the upgrade from Splinters to Revised Final, for free. I try to write material that is based on fundamentals, and make each lesson's content evergreen, but from time to time, things change. While I'm not expecting any changes in the fundamental nature of good short fiction, I could be wrong. Hope not. But it could happen. In that case, the new version will be significantly discounted for existing class owners. But the SPLINTERS version of this class will contain typos, spellos, and things that cause a lot of questions in the forum that require me to add materials to the lesson later. Hence, SPLINTERS. Also hence the big early discount. The $97 price for the completed version may stand. As of today (June 7th, 2018) I'm up to nine lessons because I had to give short story revision it's own lesson. I need to pare that back down to eight if possible, and may combine two of the final lessons into one bigger lesson. Because I have one more class on the runway following this one. I have strong incentive to bring this in at the allotted number of lessons, and keeping the final price at $97 is a big part of that. But so is getting this thing done in a reasonable amount of time so that I can do that final course in this set. So what will How to Write Short Stories cover? There's a significant difference between an idea that will work for a short story and an idea that will work for a novel. They're both fiction, they both need IDENTICAL story components. What ideas for short stories have, however, in a structural "door stop" that keeps them short. Keeping the idea short isn't the only problem, however. Writers frequently define themselves as overplanners, underplanners, hopeless planners, or complete non-planners. Knowing how to plan your work, though, is the difference between starting a hundred stories and finishing none, and starting AND finishing a hundred stories. It doesn't have to be much of a plan. But if you're setting out to write a 6000-word contest story and you don't want to end up with Yet Another Unfinished Novel, you need to know how to plan short. So this week, you're going to get my Second Definition of a Short Story, you'll learn to build scenes that work, and then you're going to build eight (yes, EIGHT) short story plans. Not all of my approaches will work for everyone, but try them all, and figure out which ones work best for you, which ones work with struggle or modification, and which ones don't work at all (yet). IMPORTANT: Go back to the ones that don't work at all from time to time as you go through this course (and go through it again later) and test. Experience and success with past stories can train your brain to think in new ways, and you may discover that processes that didn't work initially have turned into your favorites. Each of these comes with a "live as I'm doing it" demo on the page, followed by a Your Turn with worksheets. So you have the ideas. You have at least one story plan. Now it comes down to the words. And if you tend to let your characters ramble, this is where things get dicey. There is no rambling in short fiction. The biggest thing I'm going to teach you this week is how to THINK SHORT. To stop yourself from writing the words that will derail your story by eliminating them before you write them. And you're going to do the writing to cement the thinking process. You will work on the steps to writing your (possibly first) 3000-word short story, and you'll write everything BUT the ending. And we'll go over Literate vs. Literary [my definition] differences in story content: I don't teach Literary, but I do teach Literate. I know this is a big lesson with a lot of work. It's content-heavy, and if you need more than one week to complete it, just remember than I'm doing the class in nine weeks to keep the price down, but I'm making the lessons as large as they need to be to answer all the questions. You have all the time you need to finish any lesson, however. The class is ENTIRELY work at your own pace, and available for you to retake at any time. You've written most of your story, but it isn't coming together the way you imagined. It feels weak. Thinner than what you wanted, less funny, less passionate, less... something. And you're struggling to make it matter, to make it mean something. This is the single most important lesson I have to offer on writing short stories. It's also one of the longest and most involved, and that's even though I removed revision and am making THAT How to Revise Your Short Story Lesson 5. You're going to have to do some honest soul searching. You're going to have to define what matters in your life, because until you have that clear in your mind, you cannot introduce meaning into your story, and until you can find the meaning your story needs, you cannot write a good ending. Don't worry about the perfect ending. This week you just need a real ending. And this week, you're going to get that. I'm a good article writer so I know how to put together a cohesive short piece but short stories floor me because I can't always think of scenes that move the story forward without becoming too long. I wander and flounder when trying to decide what is relevant and entertaining to the reader without bogging the short story down. I always feel like my short stories are scenes rather than stories. They aren't complete enough. And, finding a twist that is a surprise. setting up a twist is hard and its something I feel inadequate to do. My main difficulty is scalability. How do I know what the ideal wordcount should be for the idea I have? Also, if I meant to start on a flash fiction piece, 2500 words of pantsing later, I have a story. Most of the time I have no idea how that happened. At the moment, I just write and get what I get, but I'd like to have more control over the execution and be better able to target wordcount ranges. I'd also like more info on pacing and structuring a story. For me, the biggest challenge by far is narrowing down the timeline appropriate for a short story. My mind naturally thinks "novel-esque". I will come up with an idea, which spawns multiple other potential plots and sub-plots, and before you know it I have the potential groundwork for a novel. But, I want/need to write several short stories to build a back-list in between my novels. So when I try to hone in on a specific piece of the novel to write a short story about (or even if I'm simply trying to create something entirely new unrelated to one of my novels) the biggest issue always comes down to narrowing down the timeline enough for a short story. My Muse always wants to provide back story...but how much is appropriate for a short story? At what point in time of my novel-esque idea do I start my short story...how far back do I go to give the reader enough info so that the reader doesn't feel cheated or confused? Basically, any issues related to narrowing down the timeline are the issues I struggle with when writing short stories. Most of the time they will end up being much larger than I had originally planned. So I'd like to obtain the skillset to narrow down that scope/timeline on the short story. This is a problem if I wrote it with a call for submissions in mind, where I have an inflexible word count range. During the idea generation and planning stages, how can I a) accurately judge how long an idea is likely to be when finished, and b) create a plan/outline that will keep the story within bounds without leaving it thin on the ground? Writing in spec fic, world building is where a lot of the fun is. Depending on the intended length, though, there may be very little room in which to explore that. I'm afraid of leaving the reader lost on one end or bogged down on the other. To what degree can I expect the reader to figure things out based on small details? What are some tools and techniques for using world building in a way that is fascinating, plot-critical, and concise? Like [STUDENTS], I also have trouble with finding the right amount of story that will fit into a short story, and keeping it simple enough not to get too long while still having a coherent plot. - on cutting sub-plots when a short story grows too much. The structural differences between the lengths. I.E. what structures work better for novellas vs. short stories vs. really short vs. flash. Right now I'm winging it and just trying to keep the same (general) structure as the previous story in the same series. My biggest problem is pacing and plotting. I have a way to do this with flash fiction and a way to do it with novels, but short stories... I'm kind of stuck. And so I have an idea and I start writing, and then somehow it turns into a novella or something and isn't what I originally wanted it to be. I have the same problem with short stories that I have with novels. I understand structure on an intellectual level, but when I try to write, everything is just a mess. Part of that is that I'm really bad at knowing what I'm going to write in advance. I can put together a Sentence, but rarely does it survive first contact with the actual writing. So #1 on my wish list is planning and structure. How much to do. When to do it (frex, I know people who mostly pants their stories and then use a 7 point structure during revision to look for plot holes). How to know when enough is enough. Are there story types that benefit more from outlining, and, conversely, are there story types that benefit more from simply freewriting. Another thing I'd like to see covered is whether short stories are actually good practice for novel writing. I feel like the flash fiction I've written has been good practice for short stories, but I don't know if the same is true for longer work. But I also know that I will benefit and gain confidence simply from completing more stories which is a big part of why I want to focus on short stories for a while. I struggle with packing “just enough story” into my short stories and I have no idea what level of description, characterization, is acceptable for a piece that’s less than 15,000 words. I’ve written a few pieces of flash fiction and one short story where I somehow “magically” landed on the perfect story that was finished being told in only 3000 words—but that one was most definitely a fluke since I can’t seem to be able to do it again on demand. I’d love to learn how much conflict is too much for my desired wordcount, and conversely, how to avoid having it turn into a plotless mess because I have too little conflict. I get concepts. I can come up with an idea. How to take an idea to the bare bones necessary and needed for a short story not always easy for me. How to reverse engineer an idea to elements needed and that will make a short a real story? Figuring what is needed and what is not necessary and the story still is a short but more than flash fiction. Or what elements are missing when a short story does not work. Like Amy, I intellectually get story structure and understand how they work but putting into practice and figuring why it is not working for me is harder, even tho I have the info, I don't always know how to wade through the trees to the heart of the forest in my own stories. It is easier sometimes with other peoples stories to widen the lens and observe because I am not in others stories in the same way I am in my own stories. Are their techniques that can help with that? My idea are always complex and turn out more than I intend no matter what I do because it is the way I think perceiving concepts as a whole. I need usable breakdown techniques and the why behind them. This is a problem in bigger works to for me which is why I have 4 series planned and no real standalone except flash fiction and even those are debatable. Short stories don't necessarily have to happen in a short span of time. You simply have to understand the process of making time count differently. That's definitely something I can cover. Great point. While I do generally try to narrow the timeline for short stories, my struggles really go beyond that - narrowing cast of characters to accommodate a short story, narrowing threads/plots/subplots, narrowing amount of backstory (my natural tendency in a short story, especially on first draft, is to ramble a lot about backstory to "bring the reader up to speed" since I am telling a tale in such few words), etc. I have no doubt your class will be helpful for me. I have yet to be disappointed! Off topic - happy to see you back to writing fiction again!!! Determining the amount of characters. Intertwining subplots into the plots. I've written flash fiction and novels. Now I want to write some short stories, and try to get some published to bring attention to my novels. I had never written flash fiction until I took your course, and it was a great guide to get me started. I would like something similar in regards to short stories. How do I get started and what would be most beneficial for me to know before I write? Soo.. what kind of mindset do you even approach writing a short story with the intent on it being just that, and not a launching point for something bigger or some side quest to a main quest you're currently writing? Getting the right amount of foreshadowing--balancing between "this is obvious" and "this comes out of left field what." "I also have trouble with finding the right amount of story that will fit into a short story, and keeping it simple enough not to get too long while still having a coherent plot." This right here. I always seem to come up with long complex ideas that require a novel-sized work. How do I tell a whole story, and keep it short? My main problem with short stories is that they tend to turn into very long stories (almost novel length.) Maybe it's because I want to have as much detail so that the story doesn't seem to be written in a nebulous space. If they don't grow into long stories, I find it difficult to come up with a scene that can be expanded into a short story with a start and stop point. I write long. I've written some decent short stories, but I'd love to be able to do it more easily. I really have to work to cut stuff while keeping the essence of the story because my brain complicates everything so much that it ends up needing the length of a novel. So, deciding what to leave in and what to cut out of that complexity so I end up with a short story would be useful. I also would love to be able to write serial stories with cliffhanger endings to "come back to next week". The idea of being able to write a complete short story with a larger story arc is the short version of the mystery series, in a way. I have no clue how to write it, but I have some ideas that would fit that structure. 2) Structure is always something I've struggled with. Especially the condensed structure of a short story, as I tend to over write. I'm more comfortable with novel writing. 3) Outlining. How much is too much? What are the essential bones of a good story outline? Where do you start? I agree with [STUDENT] the word that best describes my concerns is scalability. Tighter parameters means less room for error and less space for getting the important aspects of a story presented to the reader. It's not so much knowing what to add in, but what can be left out and still deliver a quality read. How do you take 5 pounds of *stuff* and fit it into a 2 pound bag? I write short stories to promote my series. So my biggest problem is how to make a short story satisfying in and of itself while juggling these other goals --- sticking close to the tone of the main series, not giving away anything that's in the other books (so, generally, I figure it should start before the first book in the series), and leaving enough open threads that readers are enticed to dive deeper into the novels themselves. I guess that all fits under "idea generation." I would like more information on great twists and how to come up with them. * strong worldbuilding in fewer words. "The structural differences between the lengths. I.E. what structures work better for novellas vs. short stories vs. really short vs. flash. Right now I'm winging it and just trying to keep the same (general) structure as the previous story in the same series." - Barbara Lund. That's my problem in a nutshell. Structural differences between different length stories. Thanks for creating this class for us. I have many of the same questions as the other students, however, [STUDENT] and [STUDENT] both hit the nail on the head for my most important issues: How to come up with great twists and how to loosely tie stories together so they fit into a collection or anthology. 1. What would help me understand whether the idea I have for a story is appropriate for a short story or a longer work (novella or novel) - or is there such a set of parameters? 2. Is Algis Budrys's 7-point structure the only form of short story structure? Or the best form? 3. How to create 3D characters and get to know them well within the limits of a short story format. So, I suppose my questions can be categorised into structure, characterisation, and finding an idea that fits the short story format, and not finding out, after I start writing, that the story requires a longer format. I've really been wanting to try and work on short stories because I keep jumping around from some of my novel ideas and never finish anything. I figure a short story is a great exercise to practice plotting and mapping ideas and actually completing them. But when I come up with ideas for stories, they're sweeping epics that could fill up a couple hundred pages or a whole series. Coming up with a story that can fit into a few pages is difficult for me. What constitutes a good idea for a short story and how do I scale some of my ideas into something that is interesting to read, yet concise? I've been able to come up with short little pieces like articles or blog posts (600-1000 words), but trying to fit a story idea into something like 2500-10000 words is a big challenge for me. Have I mentioned how much I dislike rigid formulas and the search for the One True Way to complete tasks? I use a number of different processes (and no formulas) to create short fiction. I'll be showing you all of them. And why I dislike formulas -- If you do what everyone has always done, you'll get what everyone has always gotten. Experimenting and taking risks means you'll fall on your face sometimes. It also means that you might be able to learn to fly. My difficulty with short stories is the range in word count and knowing when to stop or reign it in. My inclination is to go either really short or really long, so its hard to make a complete story without either doing flash fiction, where I know I can't include anything, or doing a novel, where I can go long. I don't want my short stories turning into novels! I think, also, that structure is my biggest problem. By the middle of the story what should have been accomplished? How do I know when it's time to wrap up the story? How much character development can I include? How much suspense? I like mysteries and suspense, and I love short stories, but I find it hard to write them into short stories without going too long. I really like patterns, like the three-act structure or a five-act structure, and would love to see something similar with short stories! I really, really, really want to write horror short stories, and paranormal short stories, and would love if we could have a demonstration throughout the class like in previous classes! Sometimes I write short or flash, only to have people ask for the rest of the story. Despite the story being complete in itself. Despite me not really being interested in making it something bigger. Just because the reader doesn't know everything, doesn't mean the story isn't finished. That said, how do you decide when to leave a particular story alone and not go looking to pull any more loose threads versus deciding that a particular story is suggesting more, and figuring out what that more is. 1. I used to write short stories. They were published. It’s been a long time. The ideas I come up, I do very little with. Plot. My stories wind up being just the idea. 2. Idea generation. The ideas are few and far between. 3. Structure. The idea sits there, with no development, and it’s predictable. 4. I’ve spent far too many years reading literary fiction, and I’m trying to be arty and meaningful. Ugh. For short stories, the biggest things for me are pacing and structure. A serial format, where short stories of 5-15k get broken up to be closer to flash pacing chunks seems common. This is very different than a 6k story. Short short lengths are way more common than when I was young. Right now, I figure pacing/plotting are my weak points. Somehow that seems to be connected to the problem I have creating characters who DO - discovery seems to fuel all plotlike motion in my stories, and as soon as it's time for my characters to do something with the knowledge gained, I thrash about, directionless and either far too bogged down in detail or haphazardly throwing said discovery up in the air and then running away as quickly as possible. This is as true for short stories as it is for flash and novels - but since I find short stories a better length fit than flash and easier to finish than novels, I bring this up here. What genres sell the most short stories? What genres don't sell any short stories? What does tightening up the story mean? In a short story, how much sensory detail would you need? How would you write a prequel to a romance novel as a freebie for your emailing list? Would you need a conflict? Or could you use the short story to explain characters and back story only? Other than word count, what is the difference between a short story and a novella/novel? I was taught that short stories only need 3-4 scenes - is that true? Which POV is best for a short story? added 1/15/18: also can you explain what 'show, don't tell' really means, and offer examples because I'm just not understanding this. 01/17/18: symbolism seems to be prevalent in most award winning short stories - is symbolism required? 03/06/18: what is the best way to introduce a character and their description in a short story, or in any story for that matter. thanks. Short stories are a struggle for me. I like longer ones. Both the reading and the writing. I've managed one Flash and a 25K novella. I think I would prefer the novella size to a short but is that something that can be scaled up from a short or is that it's own work? I am assuming that this book is only going to be for the under 10K story but is that going to be true? I liked a previous question about revising a short story. I used HTRYN on my novella and it works fine but is that the best way for a shorter story? Endings is #1. They’re either too open or abruptly stop. #2 Pacing, but that’s an issue for my novels too. #3 Showing enough detail to get the reader into the story without it turning into Gone With The Wind. I have a hard time coming up with an interesting story problem that doesn't balloon to novel length with just one little addition that I MUST include because that's what makes it awesome. I started your Flash Fiction course, but even that was a challenge--I haven't finished it (I've come up with all my ideas but haven't started the actual writing), but I know for a fact that each of those "500 word pieces) will be at least 3000 words or longer. "Aha, so just start with Flash Fiction and you'll have a short story!" Perhaps. The process of starting those stories was a great exercise in idea development and still trying to keep it simple. But I struggle with knowing how to come up with just the right size of story problem/s to solve, or to find just the right amount of conflict that doesn't require massive character development/arc to resolve. Short stories intrigue me as they need all the key turning points and tight writing - I'd so love to turn my novel draft into a short story and see what changes! I am learning about this in HTTS and HTRYN, but I would like to know any important changes that would apply to shorter fiction. What is the general difference between the structure of novels, novellas, and short stories, besides the length? Is there a basic or ideal structure that is good to begin with? What is the structural checklist I'd need for a short story? How big a conflict is too big for short stories? What idea or concept is too large for a short story (or a series of them)? Thank you, Holly! I am really looking forward to these new classes! How to build tension without being too lengthy. 1. Scaling for length -- given a target and a basic idea to drive the story, how to hit that length? 3. Is there any one (two? ten? etc.) way to easily move from vignette to STORY? Anything and everything that you can tell me would be wondrous. I always think about how writing novels would be awesome, and then I come up with story ideas that clearly are meant to be short. I must admit I like short stories: I like the idea of them, I like that a complete world can be developed succinctly, and I love the feeling of wanting more when I'm done reading one (a good one, anyway). What are my structural options? What makes a good story better/best/great? How does it differ from a novel-- what key things should I be focused on? How to strike a balance between narrative, action and dialog? How to flesh out characters without burdening the reader with extraneous information? How to build tension and develop twists? How to work with a theme through multiple stories without becoming boring or redundant? How to know when a story is done? Finally, pretty much every point, concern and question posted before me by everyone else. I think there's a difference between ended, finished, and done. You talk about it a little bit in the flash fiction class. But a lot of short fiction I read (even from big names that everyone would recognize), and some that I write, feels more like a novel excerpt than a self-contained story. It doesn't finish, it just ends. Is there a no-fail technique for wrapping up the ending without entirely killing it, but without leaving it feeling like it's hanging? On the other side of the coin, sometimes short fiction just wants to be short fiction. You have no more ideas for this world. You don't want more ideas. You just want it to be done and you don't particularly want to leave any open loops that you can come back to later, or that your readers will assume will be another story eventually. Aside from telling people, no, this is just a short story and I won't be revisiting it, are there any techniques for making short fiction feel entirely satisfying without leaving open hints an possible future expansion? In some ways these are almost the same question. But not quite. Jumping off of what [STUDENT] said above, what about when you have multiple ideas for short stories all set in the same world? Not a novel, just a "set" of short stories that are connected because they're in the same setting and may have the same main characters (or may not). 1 -Every "short" story I've ever tried to write mutated into a series, so I'm definitely one of the people who wants to know how to create a complete short story that stays short. 2 -I would love some kind of plotting guide or explanation on how plotting for a short story differs from plotting from a novel - tried googling it, but haven't found a satisfactory explanation. 3- How to balance the whole "showing vs telling" thing in a shorter space. I've read a lot of short stories that rely more heavily on telling than showing, but I'm wondering if there's a way to balance both to keep the story moving and keep it immersive. 1. Tips and tricks on how to estimate how long a particular version of a story idea will be when written and how to adjust that story idea for different desired word count ranges. I know this probably varies to some degree based on the writer, but it would help to have a place to start from which I can then adjust as I learn more about my specific writing idiosyncrasies. So, I suppose this would be looking at how to "prune" an idea back that's too big or how to flesh out an idea that's too simple so it fits into the estimated word count you want rather than the one it just magically ends up as (e.g. short story instead of novella or 10k instead of 20k). Or perhaps this would be more about how to avoid common mistakes that take your idea from short story length in your head to novella/novel length on paper? I'm not quite sure how to phrase this since I'm still learning how to write short stories in the first place. You're much better positioned to know what it is I'm trying to figure out here. I basically just want to gain more control over the rough length my story ideas come out as in first draft. 2. The differences and similarities in writing short stories compared to writing novels. I've heard some writers say that short stories are more about conveying a particular emotion or are centered around a pivotal turning point for a character and showing the fallout of that moment, where novels are much more expansive and about immersion in a world/life. I haven't written short stories very much since I naturally tend towards novels, and so it would be nice to get a better understanding of exactly what the similarities and differences are between writing the two. If I have the right perspective to begin with, perhaps that will help me avoid some of the most common mistakes. 3. I'm not really sure about my third issue, but I suppose it would be related to writing short stories that involve characters or worlds from other novels you've written (e.g. previous MCs, secondary characters, etc.) Basically, how to do this well so that new readers and older readers enjoy it, how to make the story complete in itself, and how to avoid the most common issues that pop up with this type of story... Something like that maybe. Also, thank you for doing this class too! I spent the whole voting period checking to see if this one was in the lead or not. Yes, thanks, Holly, for taking on this class too! They're all good class ideas, and I especially look forward to this one. 1. I like structure. It helps me organize ideas within the story and keep up the pace. You offer some structural guidelines in the Flash Fiction course, and there are dozens of resources on novel structure. It's difficult to find structural guidelines for short stories, and compressing a novel structure doesn't seem to work right. Expanding a flash fiction structure introduces too much slack and lack of direction. I am definitely looking into that 7-point structure, too. I need to know what boxes need to be checked by what percentage of the way through the story. Edit: Darn. The 7-point structure is basically another name for what I already use for novels and have found to be overkill for short stories. 2. What level of planning and worldbuilding works for short stories? What is the sweet spot between what you need for a flash story and what you need for novel? 3. How do you make a story "satisfying"? The short stories that have stuck with me are both complete unto themselves and brimming with captivating ideas. They don't feel like they lose anything by not being a novel, just like a good home-cooked meal doesn't lose anything by not being a 12-course tasting menu. There's no feeling of, "That's it?" There's no feeling of bloat. You can read something complete and reflect on new ideas in the span of a lunch break. I'll try to be brief, in short, that is my problem. I thought I was writing a novel but instead I could have several short stories come from it. Have I written, (I would like to say finished, but honestly not) a novel or a bunch of short stories that tie together? Addendum: I would like to write some short stories related to my novels / novel world to entice readers to try my novels, or extend the reader experiences between novel releases in the same series. Figuring out about how long of a story you'll end up with from an idea, and if you're aiming for something shorter than that, how to take an idea you really like and trim it down without feeling like it's losing too much. Usually my ideas end up growing and growing and reach way beyond being a short story. If it's possible, how you'd take something that would be longer and that doesn't have any clear stopping points, and break it into multiple short stories that each feel complete in themselves, while still forming a larger whole. Well, yeah! You've hit some of the points I need info about. Especially the "when to shorten things." My main problem? Summed up in three words: I write LONG. Always have, and can't seem to break away. My solution is to practice writing Flash Fiction. Over and over, until I get shorts I'm happy with. Until they are real stories. Anyone have a tip or two or three on how to shorten and tighten and still arrive at a story that has a beginning/middle/ending? Holly, I really need this class. My troubles are similar to everyone else's; I have trouble scaling an idea to an appropriate size. I like James Scott Bell's take that a short story is the fallout of one shattering moment. But even that gives me troubles because the word "shattering" throws me. I think theme and continuity are probably some of the more important aspects of the short story. People expect novels to be a bit meandering and cover more thematic ground, but I think short stories are really expected to make a point. I'd really like a way to hone my point; especially if I'm not positive what my point is. Unfortunately, "the sentence" doesn't usually cover that. My problem exactly. I don't think short. I can't seem to come up with ideas that are self-contained and won't explode with too many characters, subplots, etc. I can't tell you how many classes I've taken or books and articles I've read on "How to Write a Short Story." Most of the time, those books/articles/classes are only "How to Write Fiction." I keep hoping someone will provide the key that will unlock my brain with an "Ah ha!" moment. It's extremely frustrating because I used to be a regular reader of genre magazines: Analog, the occasional F&SF, Ellery Queen, and Alfred Hitchcock. Recently I've bought a couple of anthologies with the intent of reading a bunch of shorts so I can somehow absorb how to write one by reading what I want to write. Only too many of these don't seem to have a plot. Like someone else said about the stories they write, they don't seem finished. They seem like an introduction to a story or something. I find that many of the “short stories” I come across are actually vignettes, or cut off scenes (oops! Thinks the writer, if I go longer, it’s not a short anymore!) or not an actual short story. Or they’re actually *novellas* if they’re in a collection. While I’m sure that there are contemporary competent short story writers out there, I would tend to go back in time when the short was king, and read Saki, O Henry, etc. IMHO. I have trouble finishing a short story and pacing. I don’t necessarily write long. I used to, then I overcompensated and now think I write sentences that are too compacted and could use more explication. 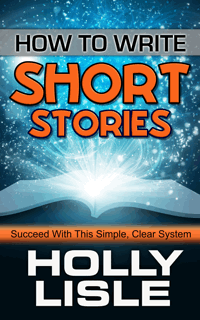 I’m OK with writing “long” short stories but struggle on the shorter stuff. I think it would be really cool if you can show how to develop an idea for varying lengths—some magazines and anthologies are fine with 6,000 words, others for 2,000 words. I’m not sure whether you should come up with a “simpler” idea for 2,000 words or accept that you’re only going to be able to show a smaller slice of that narrative in your mind. Also, endings! Endings are important for everything, but feel especially important in short stories. It might be what I’m reading (lots of literary realism for a class), but I notice that a lot of short stories stop short of a “resolution” of the problem the character faces, allowing us to realize what the protagonist needs but not allowing the character to realize it. An ironic ending, I guess. I’m thinking of Denis Johnson’s The Largesse of the Sea Maiden. I probably used up my wish list earlier, but I thought of another one. How to revise a short story without it feeling overworked. Specifically, how to identify if the story is working, and how to fix broken stories with the least possible rejiggering in order to keep the life and movement in the story. I think short story revision may be a little different from novel/novella revision since most are tight enough that you can hold the whole story in your head at one time. My main difficulty is scalability. ... At the moment, I just write and get what I get, but I'd like to have more control over the execution and be better able to target wordcount ranges. Guidance on all of those things would be great, particularly identifying information that's missing from the finished draft that the reader will need to understand the story. I've traditionally had some trouble completing short stories as well, so some ways to make a good ending and give it some oomph would be nice, but I've gotten better at that since working on the flash fiction course, so it's less of an immediate concern for me now. Another thing I'd like to see covered is whether short stories are actually good practice for novel writing. That would be an interesting set of lessons too, since I'm toying with the idea of writing some short stories to help myself figure out some stuff for the novels I'll eventually write, but for me that would be a bonus, not a core class component. There can never be too many questions, as long as they're in place before I'm ready to start building the class. Another question I had with short stories regarded theme: short stories are thematic, but how do you do theme in such a short piece without being totally on-the-nose? Also, how might you do research into good places to submit short stories too, if you choose to submit over self publish—although the market is limited, it would be nice to know how to research good fit publications for a short story in a timely way. How do you control character and story arcs in a short story? How many lose ends can you leave in a short story? Can a short story be turned into a series? What is the difference between a short story and flash fiction? Is there a difference in the planning of a short story? Can short stories come from novel length stories? Is the formula the same for a short story no matter who the target audience is? Can you elaborate on this one. Because I have dropped history or 'fairy tale' style stories inside my novels and was about to answer yes. But I suspect you mean to turn a longer story into a short or to pull a short story out of the longer novel. Update on my question by the way. This may be outside the class but if you teach story control then it may work for novellas as well. But my 25K novella is likely going to need to expand or drop subplots. (This one I will likely expand.) But the question about story control remains. So the best ways to keep a short(er) story short(er)? How to avoid adjective/adverb diarrhea without cutting so much you wipe out your "sufficient scenery". Pricing. You have talked about pricing before, but this may be a good spot for estimates just for short stories... by market? by word count? by series (as in, I'm going to write 10 of these, then put them together so individually they should be $x and together $y). How can we use short stories as a vehicle to get ourselves in front of new readers? Packaging: 5 flash makes a suitable book, how many short stories? How to come up with short stories for themed anthologies? Hi, are you talking novella length or under 10K words? Character development in a short amt of space and then I would really like to know about how to get in anthologies with other authors. My need builds on this a bit, and might more appropriately be part of the revision classes. I'd likes some help knowing when to give up. When further revisions of the story are not going to do me any good because the underlying story, while a good story, is not something that people want to publish. I've got stories that sold as initially revised, but I've got a story I feel invested in that I can't seem to sell for money or love, despite telling it at least three different ways over the years I've picked at it. I have written at least one short story concerning two women in Roman-era England that was published in a Wiccan newsletter. So, my issue? Do I draft the short story and place it in my "to be written" folder (when I create said folder) or do I write short story about this person to give me a break?